VOOPOO DEMON RDA is a 24mm diameter RDA with a food-grade PEI drip tip, an effective multiple airflow control system and an easy top & bottom filling design, wiith the extra Squonk pin to fit Squonker MOD. 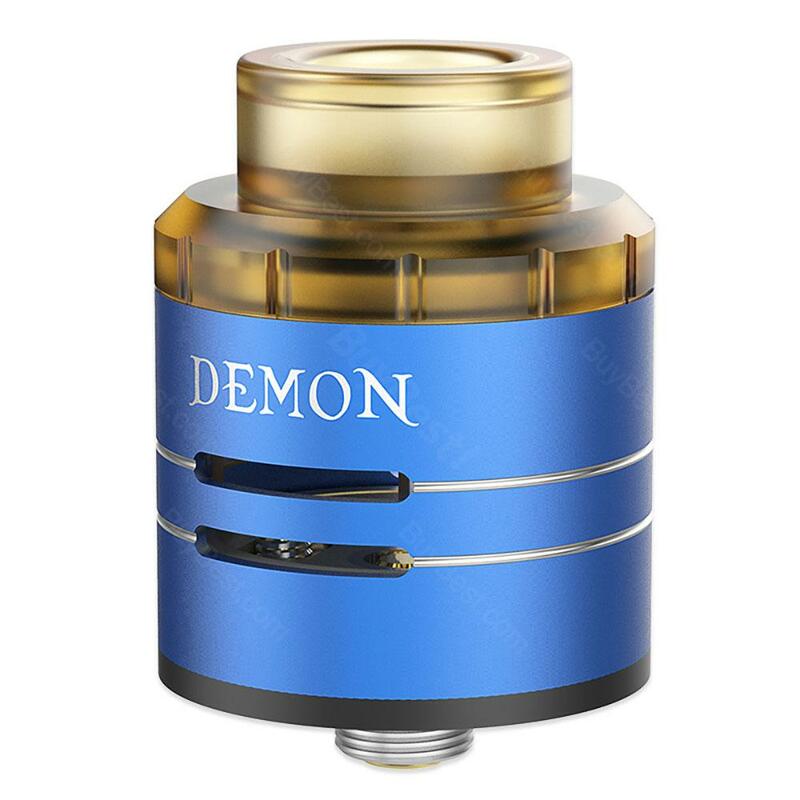 VOOPOO DEMON RDA is a 24mm diameter RDA with a food-grade PEI drip tip, an effective multiple airflow control system and an easy top & bottom filling design, wiith the extra Squonk pin to fit Squonker MOD. It also has a double heating insulation design on the top and base to avoid overheating and ensure a pure taste. VOOPOO DEMON RDA Atomizer kommt auch viel rauch raus wie bei einer shisha kahm auch schnell an. Super würde ich jedesmal wieder kaufen. VOOPOO DEMON RDA Atomizer has good flavor and vapor production, will buy for my family again!